Discover the life of celebrated Russian poet Alexander Pushkin on this guided, 4-hour literary tour. Visit the Pushkin House, where a permanent exhibit is dedicated to his life in Moscow. See a vast collection of his portraits and literary works, plus his apartment, with the original interiors, furniture and more. 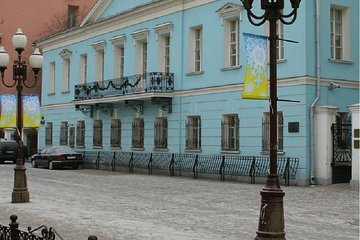 Explore Alexander Pushkin’s life at the Pushkin House, a literary museum located just a few yards from Palace Square in St. Petersburg, Russia. Pushkin is Russia’s most-celebrated poet, playwright, and novelist of the Romantic era. He is considered by many to be the greatest Russian poet and founder of modern Russian literature — the writer of the epic novel ‘Eugene Onegin’ and the well-known story ‘The Queen of Spades.’ Both were eventually turned into operas by the Russian composer Pyotr Ilyich Tchaikovsky. The museum is located inside Pushkin's memorial apartment, where he lived between 1836 and 1837. Pushkin died after being fatally wounded during a dramatic battle. Inside, see a collection of his portraits, pictures, and literary works, plus items that were part of his everyday life — a celebration of his time in Moscow. A local hotel pickup and drop-off is available to tour the museum.